On January 13th, 2019, 141 years have passed since the Liberation of Sopot. 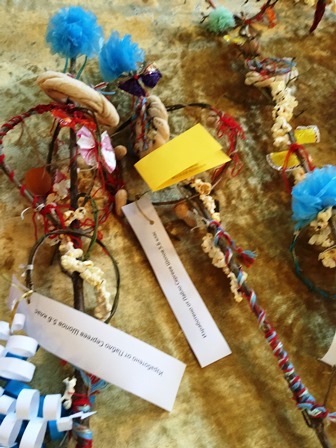 Students from the 6th grade of the “Ivan Vazov” Secondary School held a one-hour class at the “Ivan Vazov” House Museum, dedicated to the events of 1877-1878. Veselina Miryanova, a teacher of Bulgarian language and literature and History, introduced them to the most important moments of the Russian-Turkish war. Borislava Petrova - director of the museum, told them about the dramatic events in Sopot. 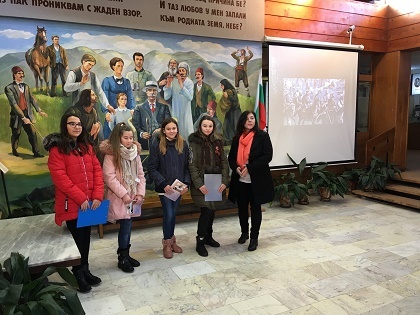 The students watched a film by Bulgarian History Association, read thematic stories and recited verses. Everyone bent in front of the memory of thousands of heroes. 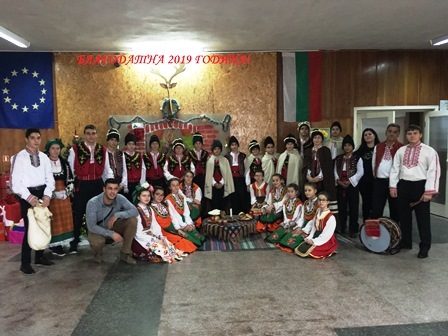 On 19th and 20th December 2018, the traditional charity Christmas Bazaar, organized by the Students' Council, took place at "Ivan Vazov" Secondary School. The amount collected is 418 / four hundred and eighteen / levs. At a meeting held on 07.01.2019, the representatives of the classes decided 100 BGN. to be donated to the Bulgarian Christmas, the rest of the amount to be used for the materials necessary for the creation of the "Funny break" section.